We at Kentlands Foot and Ankle are pleased to offer diagnostic ultrasound	in office for immediate injury diagnosis. A diagnostic ultrasound is a	non-invasive imaging technique that can help quickly diagnose problems	with soft tissue in your foot or ankle. Sound waves are sent out from	a probe, collide with body tissue, and return to the probe—creating	an image that our	Montgomery County podiatrists can use to help diagnose the source of your foot or ankle problems. 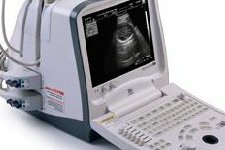 Speed: Imaging from diagnostic ultrasounds is produced immediately. Cost: Diagnostic ultrasounds are a more cost-effective option than other tests,	such as MRIs and CT scans. Painlessness: Diagnostic ultrasounds use no radiation, and are harmless, non-invasive	and pain-free. Effectiveness: These ultrasounds are extremely effective in diagnosing soft tissue problems. Are you living in Montgomery County and searching for a fast, effective,	and painless diagnosis for your foot or ankle problem? Call Kentlands	Foot and Ankle Center at (301) 330-5666 and schedule a diagnostic ultrasound today!